Congratulations to the 'Anything Goes' Cast and Crew! Directed by NHS teacher, Mr. Michael Cavalier, Anything Goes received nominations for several Henry Mancini Musical Theater Awards! The awards ceremony was held on Sunday, May 20, 2018 at Lincoln Park Performing Arts Center in Midland, PA. In full costume, our students enthusiastically performed a scene from Anything Goes at the awards ceremony. We are quite delighted and proud to announce that Neshannock High School won the award for “Best Musical” for the third year in a row! Neshannock was also awarded “Best Ensemble” and “Best Choreography” at the Mancini Awards! Congratulations to Mr. Michael Cavalier and the Anything Goes cast and crew on another outstanding musical production! 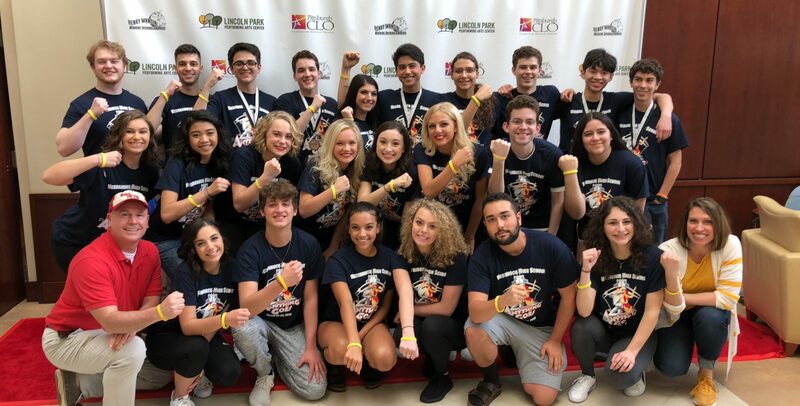 Director, Mr. Michael Cavalier, Choreographer, Ms. Julia Garda, and the ‘Anything Goes’ pay tribute to former cast mate and NHS graduate, the late Emma Weatherby, with their #emmastrong bracelets. 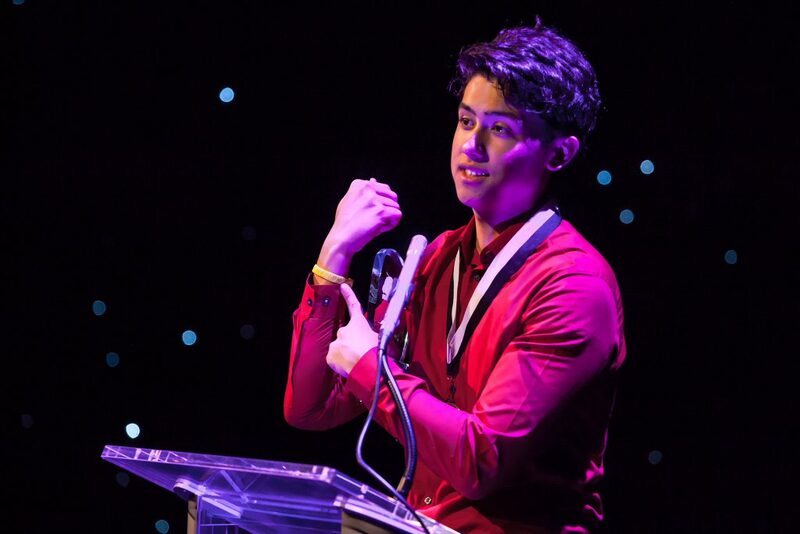 NHS Senior, Brandon Acosta, accepts the “Best Musical” award on behalf of the ‘Anything Goes’ cast and crew. In his acceptance speech, he dedicated to the award to former musical participant and NHS graduate, the late Emma Weatherby.